Justice Minister Amy Adams says a bill allowing bars to open later during Rugby World Cup matches will have to be tightened up before it gets National Party support. The Government had been working on legislation to avoid the need for special licences for some games, but has ditched that in favour of a member's bill put forward by ACT MP, David Seymour. Mr Seymour said he had presented the bill because many of the World Cup games being played in the United Kingdom from 18 September will be shown in the early hours of the morning here. Ms Adams said National would want to see the number of games limited, such as to the All Blacks ones, the quarter and semi-finals and the final itself. Mr Seymour's bill passed its first reading in Parliament on Wednesday after a change of heart by the Green Party who had initially blocked his first attempt to introduce the bill on Tuesday. The bill would allow pubs and clubs to open outside legal trading hours in order to be able to show the matches. Green Party health spokesperson Kevin Hague said there was a backlash when the Greens first opposed the bill. "We're not at all embarrassed, in fact we're proud that we've been able to secure major changes to the bill." Mr Hague said the bill was flawed but through negotiations with ACT and the Government, the party had secured major improvements. Those improvements included considering the proximity of bars to schools and not allowing premises that have previously breached the terms of their licences to be open. Mr Seymour told Parliament there would be conditions attached to bars opening for the games. "The primary purpose of that opening must be to watch the game. They must have at least one television," he said. Bars would also have to display the details of their extension and notify police and their district license authority at least one week beforehand. The bill will now be considered by Parliament's Justice and Electoral Committee under a shortened process. It is due to be reported back to Parliament by 26 August so it can be passed before the start of the World Cup tournament. 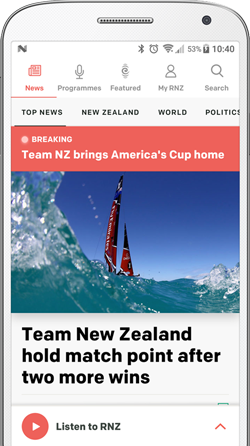 Labour and New Zealand First said the legislation should be widened to cover all major sports events such as the Netball World Cup and the Olympics. 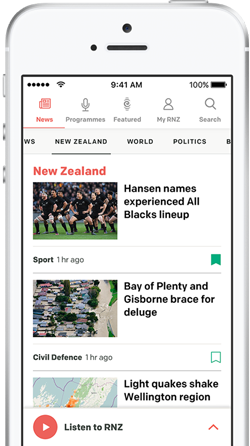 Senior Labour MP David Parker said pay TV was too expensive for many New Zealanders. He told the House it was shameful that in New Zealand it had got to the point where only those who could afford pay-to-view TV could watch major events. The manager of Irish pub JJ Murphy in Wellington, Mick Moore, said the bill was great news, and would not spell a glut of rowdy patrons. "Rugby union is not like football or even rugby league - all the aggression is on the pitch, and the camaraderie is off the pitch," he said. The bar has opened early for other sporting events, such as the FIFA World Cup. At that time in the morning, Mick said beer was rarely the tipple of choice. "People come out and drink coffee or juice and watch rugby with other people and follow their team," he said. The All Blacks' first game is against Argentina at 3.45am, New Zealand time. After that, they play Namibia, Georgia and Tonga at either 7am or 8am. People overflowing from pubs as they celebrate the Rugby World Cup may be breaking the law but are unlikely to be prosecuted. The Hospitality Association has asked Parliament to make the process for getting a special liquor licence for the 2011 Rugby World Cup even faster than currently proposed.